With the number of sports teams located in the Sunshine State, it’s no surprise that legal Florida sports betting is happening all year round. The state is home to 10 professional sports teams spanning across all major American sports leagues. If that isn’t enough, proud alumni can find a total of seven Division 1 FBS collegiate programs to cheer for as well. Even though these teams are located all throughout the state, fans will be disappointed to know that physical sportsbooks aren’t offered for legal sports betting in any FL city. However, there is good news for those looking to put up money on their favorite team’s next game. The answer lies with online offshore sportsbooks. These gambling outlets provide a safe, expansive, and efficient way to wager on almost every sporting event you can think of. Even though when most people in the state think of gambling on sports they think of giant Vegas-style odd boards, they’ll be shocked to find that those same types of odds can be found right on their computer or mobile device. Whether you’re catching a tan on the Shores of South Beach or waiting in line for a ride at Disney World, legal Florida sports betting is always accessible. 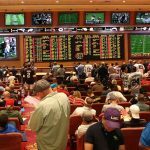 Is Land Based Sports Betting Legal In Florida? While Florida is known as a tourist state and home to attractions not found anywhere else in the country, residents know that there are no land-based options for legal sports betting in Florida. There are eight casinos within the state that are a part of a tribal compact which allows for Class III gaming. According to the Federal Register, Class III gaming includes gambling on sports, but that terminology was not clearly defined in the compact. Other gambling institutions in the state, such as horse racing tracks, include slot machines but do not accept sports wagers either. While you can’t place a sports bet on land, there is nothing in the state law that bars you from doing so at sea. There are casino cruises that offer this additional type of gaming and will allow you to partake in it once you get out to international waters. If you’re afraid you might get seasick, you can always go online to find legal Florida sports betting sites. Is It Illegal To Bet On Sports Online In Florida? Florida sports betting laws are pretty comprehensive in covering almost every type of gaming activity. When it comes to bookmaking, that activity is federally banned whether you do it on land or attempt to start your own betting site. This should be avoided at all costs as federal penalties severely out way any punishments set by the state. Although, there is nothing explicitly stated in any FL Statute that prohibits you from simply placing a sports bet to an online offshore sportsbook. Because residents find themselves in this gray area, they have taken advantage of the opportunity and used these websites to earn a great deal of money. There have been no arrest records on file for individuals who have used these online offshore sportsbooks, which is why most bettors in the state can feel safe in using them. Is There Anywhere In Florida That I Can I Bet On Sports? As stated before, there are no physical locations within the state that offer legal Florida sports betting. However, there are two alternative options that are quite popular with sports fans. The first being Victory Casino Cruises, which is located in Cape Canaveral, Florida. This ship has the ability to take you to international waters, where state and federal law have no jurisdiction and offer you odds for all your favorite sports. The second option is to use online offshore sportsbooks. While the internet is flooded with these types of sites, the ones we recommend are Bovada, 5Dimes, SportsBetting, and Bet Online. All of their sportsbooks provide all the most popular wagering types, have proven to pay out, and have served American players for well over a decade. They also provide great bonuses all year round. For states that have chosen to fully regulate gambling on sports, the facilities they have mostly chosen are the existing casinos in the state. Since they are already equipped with other Class III gaming activities, they are thought to have the resources capable of adding the activity. 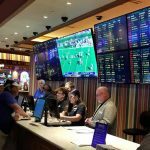 Once legal sports betting becomes a reality in Florida , it will most likely follow other states footsteps and allow the tribal casinos to offer it since they generate millions in tax revenue for the state. We’ve provided a list of where these casinos are located. If land-based sports gambling is the only option you want to use, you will have to travel out of state. Most residents in North Florida choose to go Mississippi to place any wagers. For them, it’s only a few hours away, but for folks located in South Florida, it could serve to be a long car ride or expensive plane ticket. While using online sportsbooks would be the more convenient option, we’ve also provided a list of cities that FL residents love to travel to in order to physically place their bets. Many folks who have tried to research the topic know that finding specific Florida sports betting laws can be exhausting. 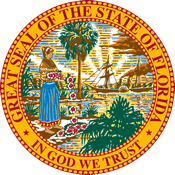 Most of the state’s gambling laws can be found within the Florida Statute Title XLVI Chapter 849. This Statute covers aspects such as, which kind of gambling devices are permitted and who can use them, rules concerning the lottery, cardrooms and more. If you’re curious about the laws regarding pari-mutual wagering and horse racing, those can be found in Title XXXIII Chapter 550. This statute even extends to include rules regarding the Native American sport Jai Alai. However, it still does not include specific provisions for gambling on traditional sports. As a matter of a fact, with the passing of Amendment 3 back in November of 2018, it could take even longer for a bill to pass that would change that fact. Amendment 3 essentially means that voters now have the ability to decide where and who gets awarded any kind of gaming expansion. The catch is that proponents of it have to provide legislators with enough signatures to have it reach a ballot measure and from there Florida voters would have to officially pass it. Getting enough signatures can be an expensive and daunting task, which is why many assumed that it will make it more difficult to bring legal Florida sports betting via voter referendum. Others argue that since the Amendment didn’t include specific language regarding sports gambling, that the only thing required to bring it about would be to renegotiate the state’s tribal compact. Florida is one of the few states in the country with the luxury of having the amount of professional and collegiate teams that they do. From Miami all the way to Tallahassee, championships won on all levels are recognized not only in the state but throughout the country. Online offshore sportsbooks let those diehard fans place wagers on all these teams and more. Many people who live in Florida aren’t originally from there and still cheer for their original home team, but sites like Bovada, SportsBetting, BetOnline, and 5Dimes allow users to bet on them while still enjoying the Florida weather. But, even they can admit that placing wagers on Florida sports franchises can be just as lucrative which is why we’ve provided the most popular sports organizations FL residents choose to cash in on. Horse race betting is past time loved by many in the state. While the coastal cities usually have more traditional sports fans, those it the more rural area of the state know just how profitable horse racing can be. Places like Ocala, FL, are known in the industry for providing some of the greatest amounts of thoroughbred horses in America. Although, to see the best ones in action you’ll either have to travel to Miami, Hallandale, or Oldsmar. Residents will also be happy to know that pari-mutual wagering is allowed for harness racing, quarter horse racing, and of course thoroughbred racing. People that want to place their wagers can do so both at the track and online. Websites like Bovada, SportsBetting, BetOnline, and 5Dimes come fully equipped with top-notch racebooks and even provide special promotions and bonuses for first-time users. State lawmakers have been trying to regulate Daily Fantasy sports for years now with no luck. The last bill that was filed to do so was FL S 374 which ultimately died on calendar and was indefinitely postponed from consideration. The biggest reason why is because Native American Casino owners claim that it would violate their pact, and because they provide so much tax revenue, state officials don’t want to jeopardize that relationship. Even so, the top two DFS operators in the country have chosen to accept FL residents and operate unregulated. Draftkings and Fanduel provide folks in the Sunshine State the ability to engage in DFS and have proven in recent years to be a fun, safe, and alternate method to reach legal Florida sports betting. Can I Bet Real Money On Sports In Florida? Absolutely. As long as you use a casino cruise or you use the online offshore sports wagering sites we recommended, you’ll be able to place real money bets and can potentially win big. For offshore sportsbooks, you can use bank wire, debit card, money orders and more to make your deposits. Those same sites can even accept deposits made through cryptocurrencies like Bitcoin for people that prefer this popular transaction method. Is Online Sports Betting Safe In Florida? Only if you go through the avenues that we’ve described. Using offshore sports betting sites means that you are not in direct violation of any state or federal laws. Although to be safest from the law and from shady websites, we recommend using the sportsbooks provided by either Bovada, SportsBetting, BetOnline, or 5Dimes. All of these sites have been tested and proved to payout. They all also come with multiple ways to reach their customer support members so you can be sure that you’re using the site correctly and get any questions answered in regards to deposits and withdrawals. Will Sports Betting In Florida Ever Be Legal? When it comes to any sort of gaming expansion the Seminole tribe holds all the power because of the sheer amount of tax revenue. In order to see regulated and land-based legal Florida sports gambling would mean having to renegotiate the current tribal compact. The potential for that happening is still unclear, but with Amendment 3 passing it could mean that Florida voters have the chance to legalize the practice themselves. Will I Get Arrested For Sports Betting In Florida? The only way you could face any serious penalty in Florida is if you placed a bet at a local unauthorized sportsbook, or if you were personally collecting sports wagers. There have been no arrest records for individuals who are simply placing their wagers to online offshore sports gambling sites. The state does not have jurisdiction over the operations of that site, nor do they have clear penalties for users of those sites. 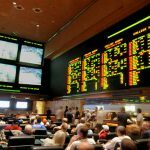 What Is The Sports Betting Age In Florida? Since there are no definite legal Florida sports betting locations most people go by other gambling ages as a reference. The minimum age to play the state commissioned lotto and to partake in pari-mutual wagering is only 18 years. However, in order to gamble in casinos, you must be 21 years or older. Even though offshore sportsbooks usually set an age requirement of 18, it is always advised to meet the highest age set by the state. Are There Mobile Sports Betting Apps Available In Florida? Yes. All the sites we recommend, including Bovada, SportsBetting, BetOnline, and 5Dimes have mobile apps that can be downloaded directly from their site. Bovada even offers their app to be available through the app store. 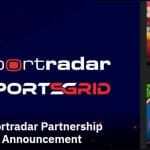 But, it should be worth noting that each site also offers a mobile-friendly version of their site, so you can get all of their sportsbook features without having to use any extra storage on your device. Where Is The Best Place To Bet On Sports In Florida? While it may sound counter-intuitive, the best place to indulge in legal Florida sports betting is actually anywhere in the state where you have an internet connection. 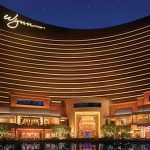 This is because offshore sportsbooks can be accessed on any desktop or mobile device and offer the Vegas-style odds boards that sports fans know and love. And if not there, casino cruises will pick you up from Cape Canaveral, Florida and will accept your sports wagers once you set out to sea. Should I Use A Local Bookie In Florida? Under no circumstances should you take the chance of using a local bookie. Doing so would mean violating state law and could land you into some serious trouble. Not only that but placing bets to a local bookie means they have the potential to run off with your money and you have no way of getting that money back. Fortunately, with online offshore sportsbooks, you have access to customer support and the security in knowing that they are regulated by their home countries. Do Any Casinos In Florida Have Sports Betting? Unfortunately, no. Tribal casinos offer every other type of Class III gaming including, blackjack, keno, poker, slot machines, and more. Only time will tell, but given how valuable the compact is to both the state and Seminole tribe, many believe that legal Florida sports gambling will come to these facilities before any racetracks or retailers are allowed to offer it. Is It Legal To Bet On Sports With My Friends In Florida? If you’re looking into forming an office pool or another type of social sports betting pool, you may need to do so with caution. Paying a fee in order to win a game based on chance is considered gambling, and if done outside a gaming facility, could be considered illegal. However, laws against this type of sports gambling are hardly enforced and are usually only targeted towards businesses that advertise the pool. Offshore sportsbooks have similar types of contents and great referral programs, making them the best way for you and your friends to enjoy legal sports betting in Florida.